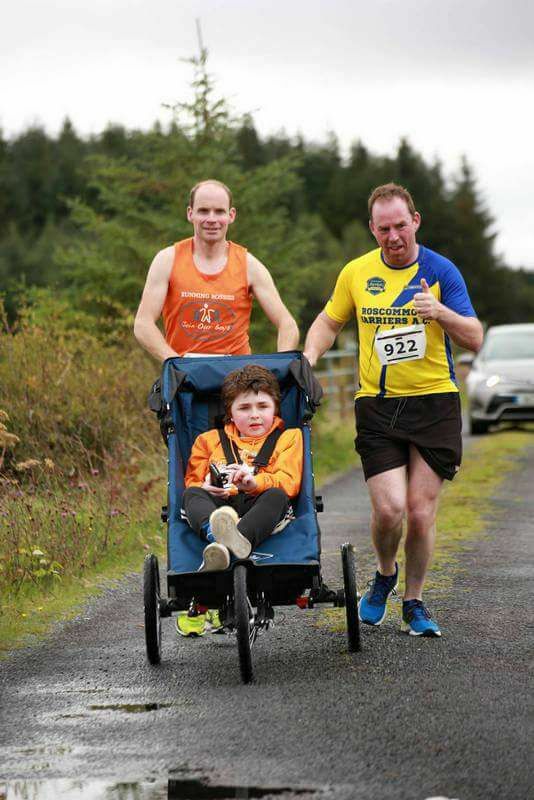 On the 29th of October 2017 Archie, who is now 11 years old will be completing the Dublin City Marathon with his friends from The Roscommon Harriers. 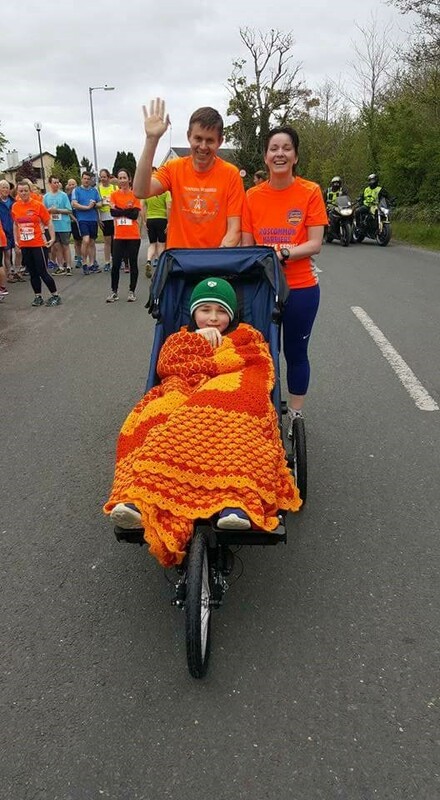 Five of the Harriers, Sinead Gannon, Frank Murphy, Tonya Hand, Adrian Smith & Mark Gilleran will be pushing Archie in his special running buggy. This buggy was donated to The Trust by #TeamKerr a brilliant charity based in Norther Ireland that promotes and supports inclusion in sport for everybody – regardless of their ability. We are so grateful to them. We also have a team of runners and walkers who are completing the marathon to raise awareness of The Trust and vital funds to support our mission. As you can imagine the training required to complete a marathon is tough on everyone. It is no different for Archie. 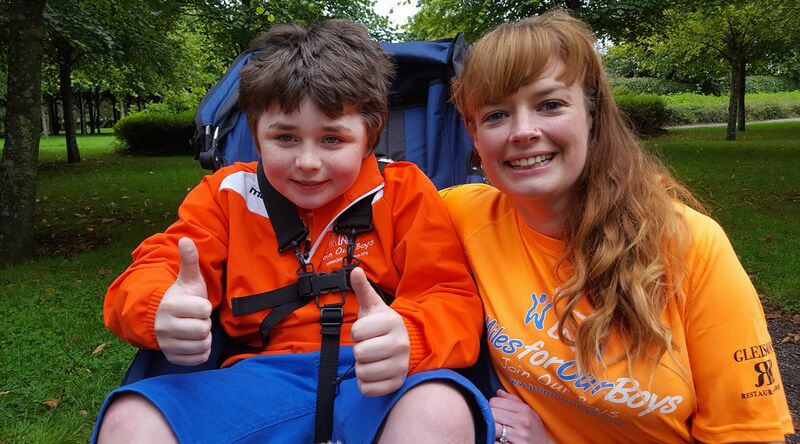 He has been so well supported by his coach Sinead, the other Harriers and his fitness instructor Kathryn Dennigan. We are also very fortunate that our Sponsor’s for Dublin City Marathon are Gleeson’s Restaurant & Rooms – we would not be able to do this without them either. All of these amazing people give their skills and expertise voluntarily to Archie (and his Mummy!) and everyone in the Trust is so grateful. 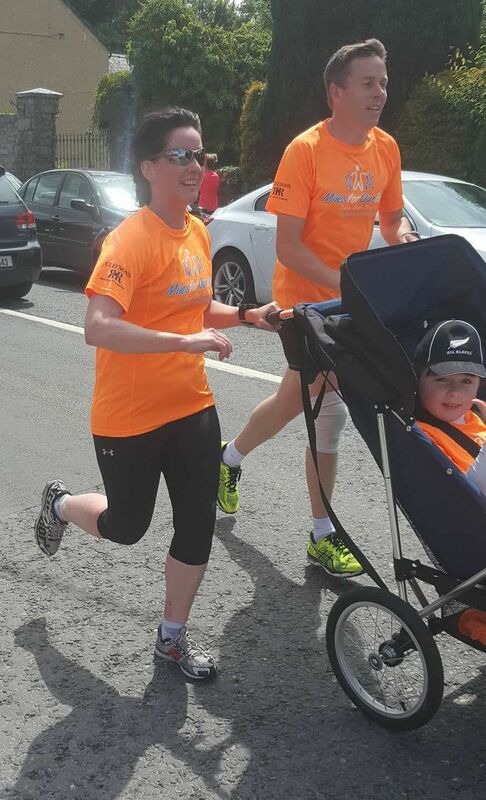 On Sunday the 8th of October #TeamArchie will be completing their last long run from Athlone to Roscommon Town and they would love you to join them for all or even part of the event! 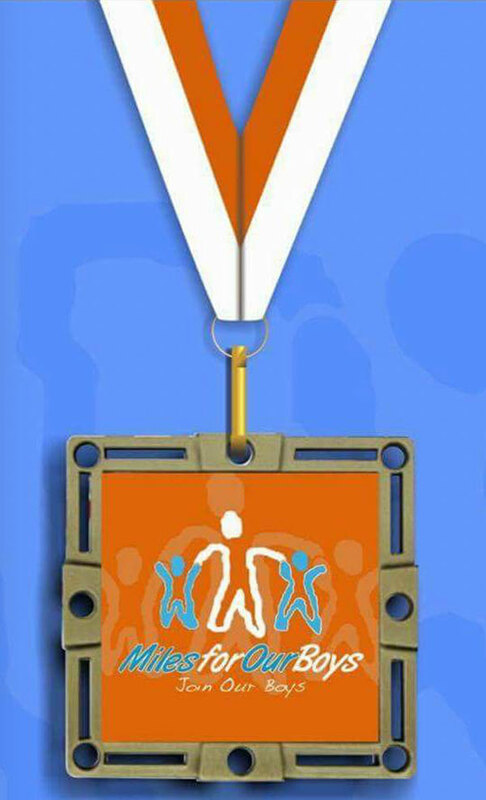 This is not a timed race but all finishers will be presented with a specially commissioned Join Our Boys Medal! Donations can be made at every stage of the run. This is the route for the day. 12:20pm arrive at Gleesons Restaurant & Rooms. All times are estimates ……. expected time for Team Archie. Refreshments and Medal Ceremony in Gleeson’s! Even if you cannot do the race we would love to see you along the route cheering everyone on. Sincere thanks.